Load the Team Optimizer from the main “World of Warcraft” Menu on our site. It’s the 4th option. And get the addon from Curse. The loot master, preferrably, so you can use the addon to give loot to people. And anyone who wants to see the rankings in-game, will also need the addon. 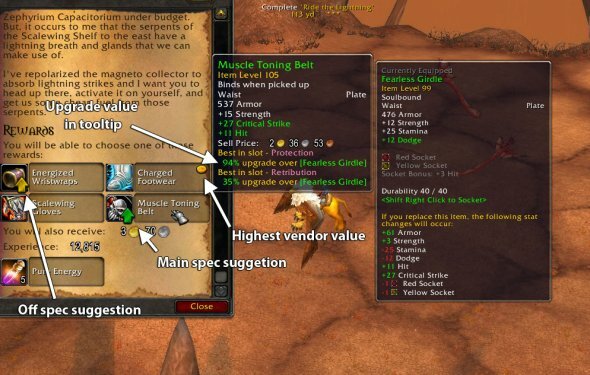 (FYI: the optimizer for gems and enchants, and all combat log features are free). As always, theorycrafters, podcasters and bloggers get premium for free. Just send us your AMR username and a link to your stuff 🙂 It’s the least we can do for all of the hard work you put into the community. Upload your logs to see how your team is doing, with infographics! If players have our addon, we also track their gear, talents and glyphs on each pull. So when people win those items and equip them for the next boss, we track that in all of our data and rankings. Speaking of logs, if you want to know more about how you are scored, we have a guide for you. Don’t worry, there are lots of pictures and not much math!